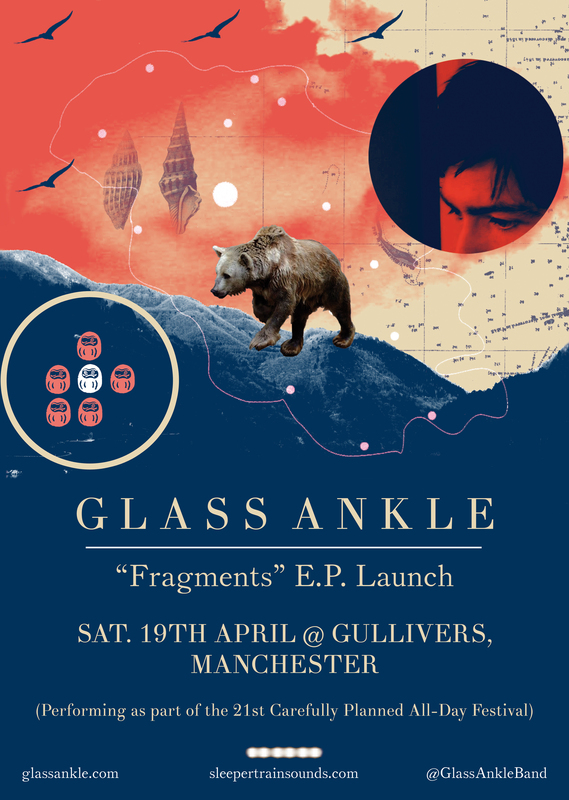 “Fragments”, the new Glass Ankle E.P., will be launched in Manchester on the 19th April @ Gullivers during the 21st Carefully Planned All-Day Festival. The band will be performing tracks from the new release as well as showcasing some brand new songs. Tickets can be purchased on the door and will be priced at £5. Also playing at the festival will be Polymath, Gaunt Story, Piles Of Clothes, Young Mountains, Screen Wives, Quadrilles and Glossom (now that’s value for money!). Doors will open at 2 pm and the last band will be taking the stage at 11 pm. “Fragments” CDs and Posters will be available to purchase throughout the day.